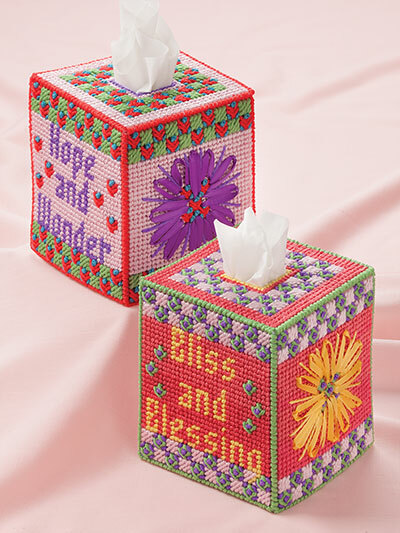 Sentiments to ponder and bursting blooms that delight decorate this set of 5 tissue covers. 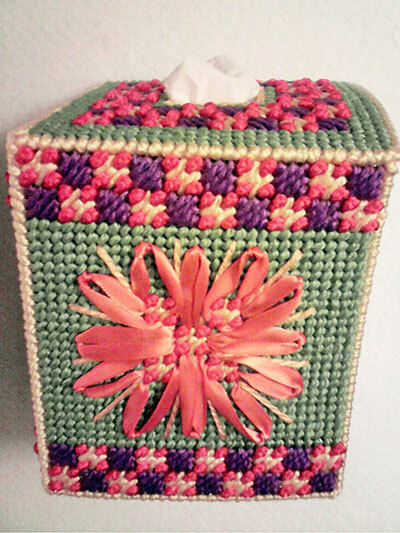 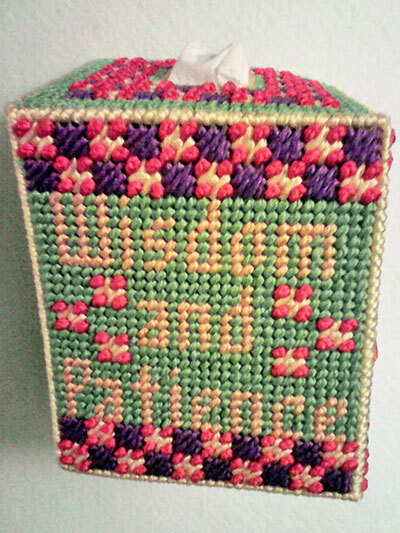 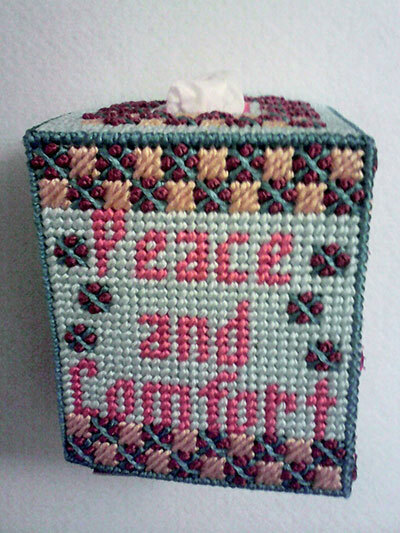 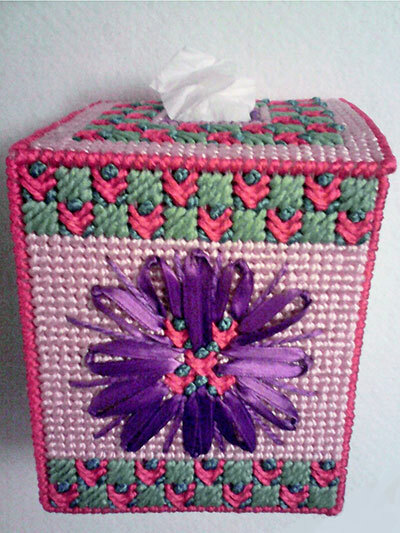 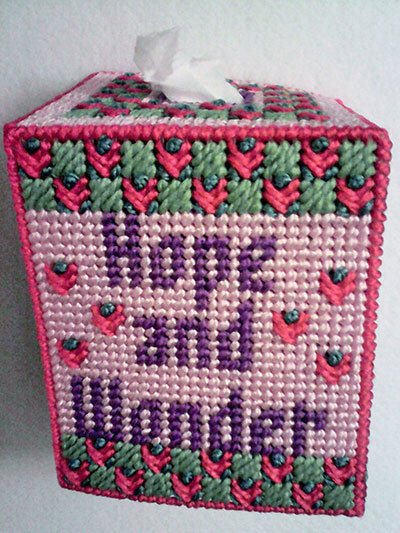 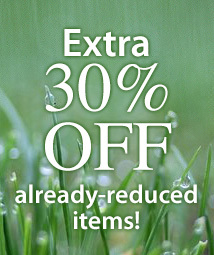 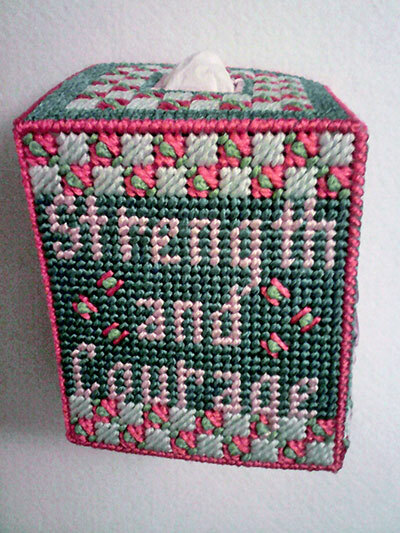 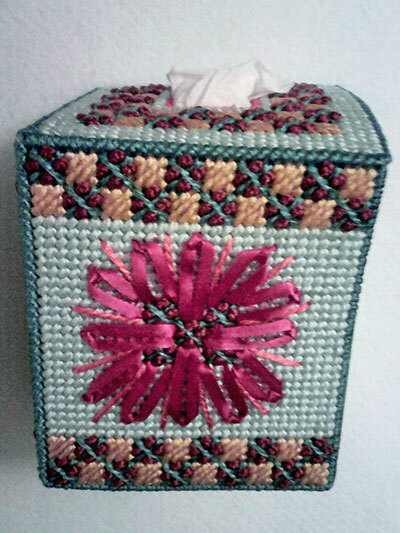 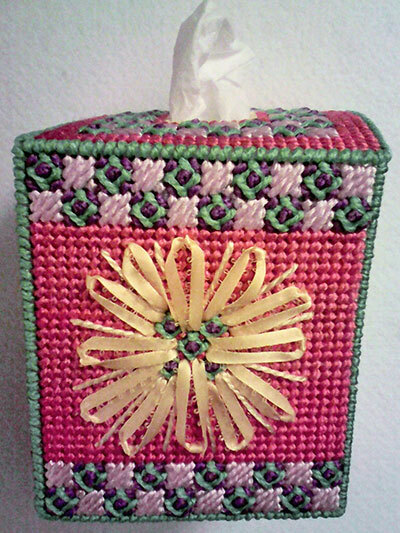 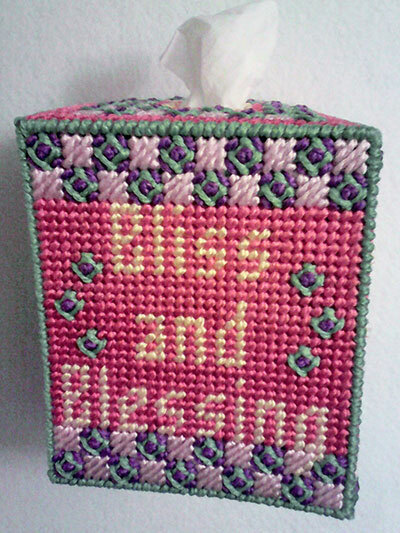 Each fits a 4 3/4"W x 5 3/4"H x 4 3/4"D boutique-style tissue box. 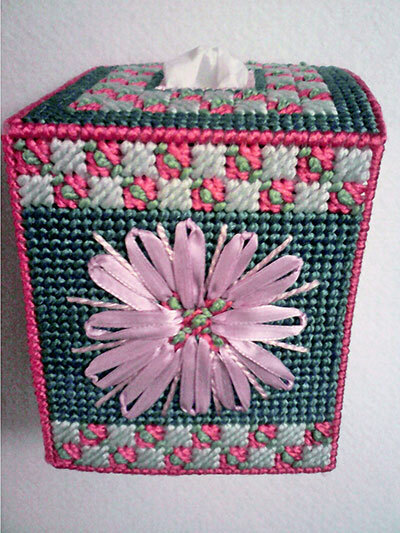 Worked on 7-count plastic canvas with Needloft® plastic canvas yarn, the ribbon flowers give these toppers a unique touch!